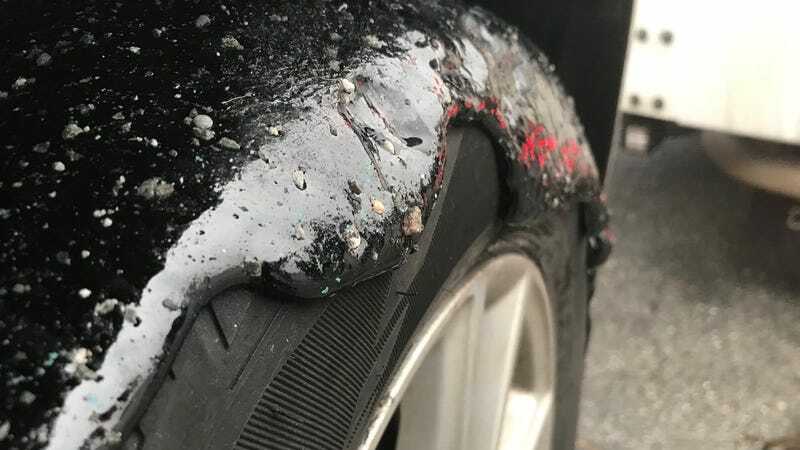 Around 20 drivers in south New Jersey were cruising along Interstate 295 when something suddenly felt a little off. After pulling over, what they discovered was a little horrifying. The tar is of unknown origin, as the Associated Press reports, though authorities are looking into where it might have come from. It was found in the center and right-hand lanes across five miles (!) of the Interstate up to about eight miles before the Delaware Memorial Bridge. No injuries were reported, but if you were driving on this stretch around 5:30 a.m., check your wheels and tires. There might be a little extra something on them. You know, to help with the grip.